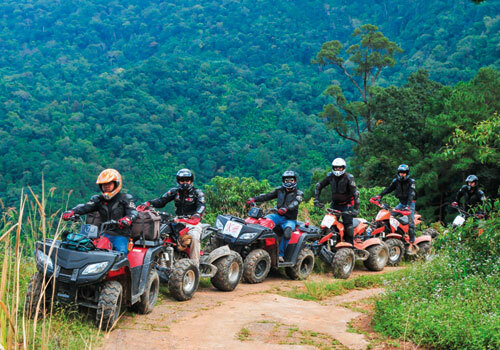 Thailand is a perfect destination for staff to bond on both professional and personal levels if you are including team building activities as part of your conference trip or MICE event. Team building activities usually, but not exclusively fit in with various aspects of Thai culture and can include Amazing Race or Survivor style competitions and Thai cooking. 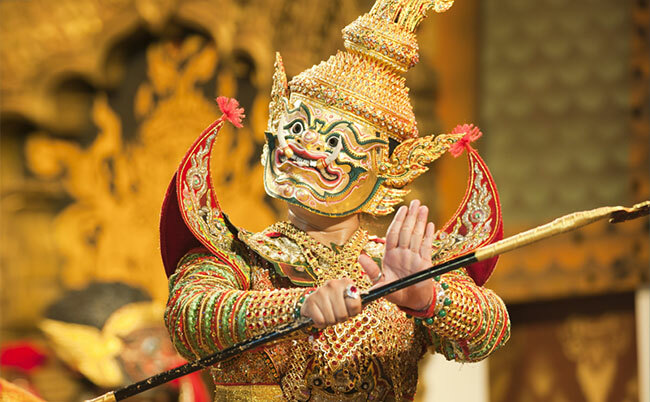 Whether your event is located in the heart of Bangkok, by the beach or elsewhere in the Kingdom, the odds are it will be a highlight of any business function. Amongst some of the notable venues and activities for team building activities are Flight of the Gibbon which is a testing exercise giving competitors the opportunity of seeing a jungle environment resembling the movements of a gibbon. Set in a remote, but beautiful rainforest and close to the imposing temples of Angkor Wat in Cambodia, your team will soar skywards on ziplines, abseil from towering trees and cross suspended sky bridges, creating an experience akin to flying. The course has been carefully constructed to make it not only a toughening up experience, but a safe eco-adventure which incorporates the natural features of the jungle and protecting the fauna, and native wildlife. Another nature based and fun and memorable team building activity is rafting.White water rafting is Thailand’s newest and arguably the country’s most exciting sport. 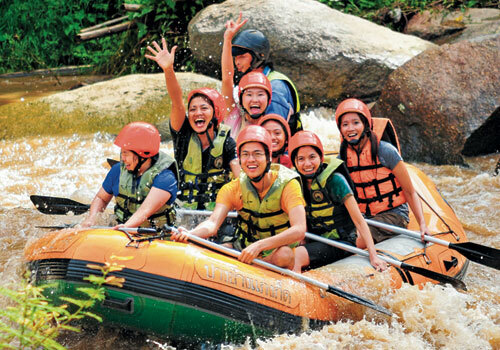 Some of the main rafting areas are Pattaya, Umphang Pai in Mae Hong Son province and Geng Hin Poeg near Prachinburi. Groups will be given the correct equipment, watch demonstrations and issued with explicit safety instructions. The rafting season runs from July to February each year. Although the rivers in Thailand are not large, they can create technical demands, with numerous rocks and hidden eddies. Also to be noted is the fact that during the rainy season, the river in Umphang does run quite fast in places and grade 3-4 rapids can be faced. However, it is stressed that they are neither, extreme or dangerous. Elephant trekking is a uniquely Thai activity and not without its controversy and detractors. Accusations of cruelty and exploitation of these magnificent animals are frequently voiced. 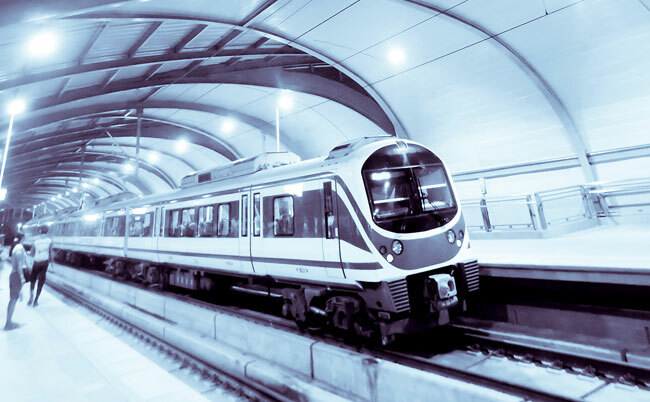 The key for your group to avoid any issues is to research, or ask others to check first before you decide on a particular venue in the country. You can help with something basic, but crucial by riding on an elephant on its neck behind the ears and not on the trekking chair (howdah) which adds extra weight to the burden it is carrying. 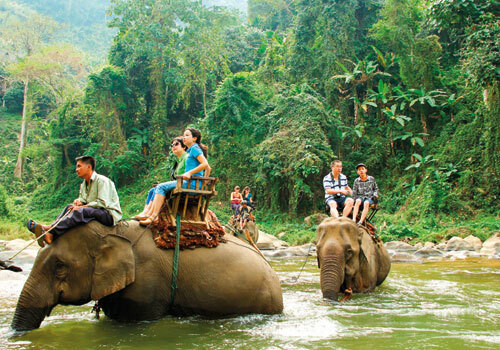 One place where you can ride elephants in Thailand safe in the knowledge that they are being looked after correctly and in an ethical environment is Baan Chang Elephant Park which is a fairly new elephant camp north of the city of Chiang Mai. A new, gentler type of pachyderm activity is encouraged here called Elephant Mahout training. Here visitors are taught about caring for the animals and you are allowed to ride the elephants using the method outlined above. Paintball is making its way up the ladder as a popular team building activity in the country with fascinating mix of exotic jungles and forests make perfect settings for the exciting game. It demands leadership, participation and communication between team members. 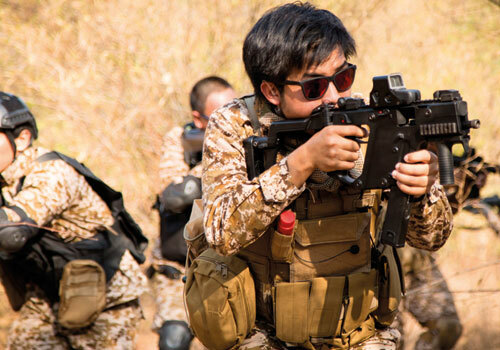 Top quality equipment which includes camouflage clothing, high-powered guns which shoot capsules of paint and protective headgear are provided as your team attempts to hunt down and ‘destroy’ the opposition. It is a great way to create responsibility, decision making and trust between work colleagues in a different and challenging environment. 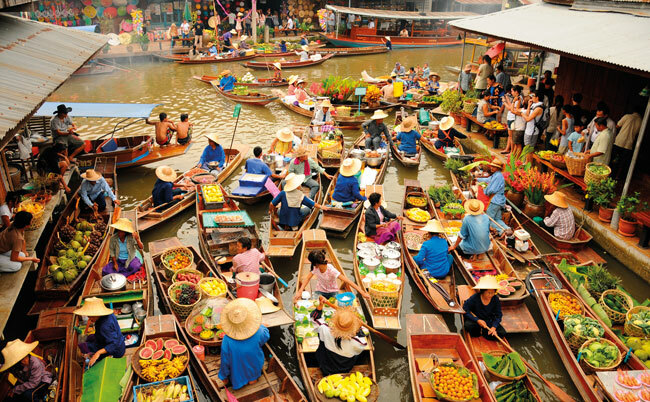 This activity is most popular in Bangkok, Pattaya, Hua Hin and Chiang Mai. It is emphasized that Paint Ball is a safe event which does not lead to major injuries, apart from a few bruises. If you are searching for a totally different event and setting in Bangkok for your next MICE business event, Flow House might fit the bill. Visitors are familiar with the stunning range of beaches which Thailand can boast, but now it is possible for business groups to hold an event at an urban beach club which has a relaxed beach resort feel. 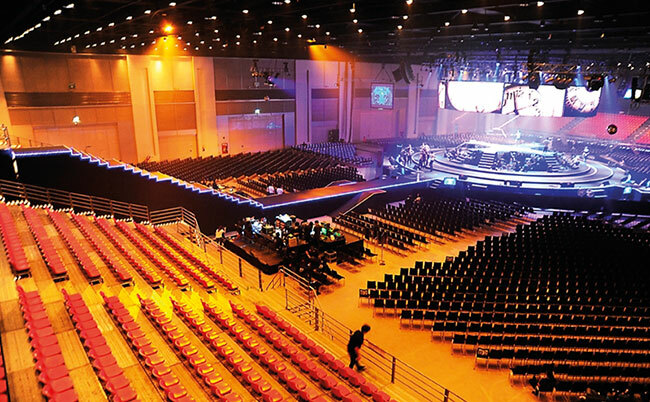 Situated on Sukhumvit Soi 26, it is a purpose designed venue which has the capacity to stage corporate events with groups from 10 to 1,000 for team building and related activities. The action water sport of flow boarding is the core of Flow House. This is a specifically built wave machine called a Double Flow Rider which is imported from America. It is designed to create a continuous sheet wave which is ideal for stand-up surfing and body boarding. The actual riding surface is comprised of a soft plastic composition. This means that if you fall you can get to your feet quickly and will be able to try again. If your staff are tired then there is also indoor and outdoor dining available, a plunge pool and private functions. If you want to add something extra to your team building activities, then you can develop and learn new skills through the various scuba diving certification programmes. Yet another of Thailand’s many attractions is the fact it offers superb scuba diving opportunities with the Andaman Sea on the west and the Gulf of Thailand on the east, the country is well served with deep drop-offs, wrecks, walls, fringing reefs, tunnels, caverns and open sea mounts. Several destinations are highly recommended for your group. These include the islands of Koh Tao, Koh Samui and Koh Phangan. In the north of the gulf region are the beach resort city of Pattay and the pristine island of Koh Chang. These locations all boast a reputation as world famous and world class dive destinations and offer access to a variety of sites which are suitable for divers of all levels and experience. Other popular venues are Phuket, Khao Lak, Phi Phi Island, the south-western coastal town of Krabi and Koh Lipe. 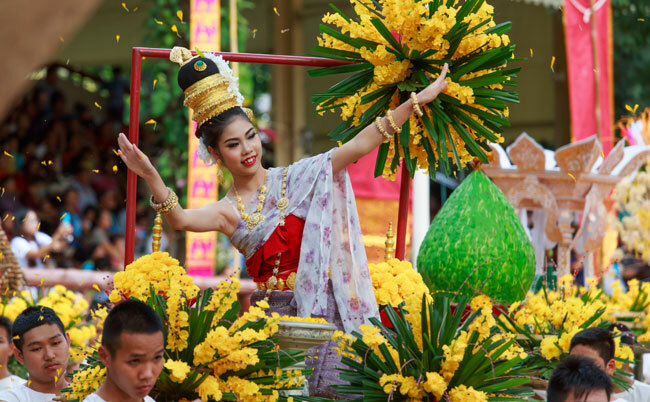 Thailand’s tropical location ensures that the climate is hot and humid all year round. Diving conditions are typically good throughout the year too, with the Gulf of Thailand at its peak from May to September, and in the Andaman Sea, the best diving is from October until April. The water temperature averages a very inviting 28-30C all year round. There are numerous scuba diving certification programmes in Thailand. 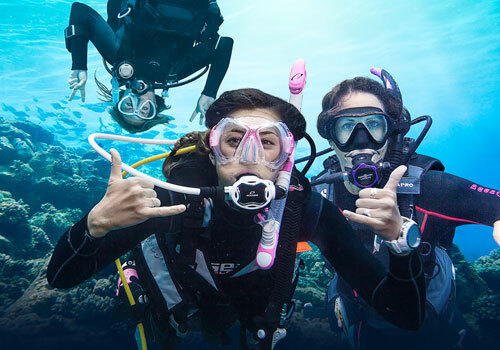 For the absolute beginners in your staff, who want to learn the basics, there is the PADI (Professional Association of Diving Instructors) Open Water Diver Course. You need adequate swimming skills and you must be in good physical health. However, you do not need any previous experience of scuba diving. The course is usually run over three days, but four day courses are recommended if your group is large. The courses are hosted by professional divers and are a mix of theory and practical water-based instruction. The knowledge part can also be studied either online, or in a classroom environment. For those in your group who want to improve on existing skills, there are the PADI Enriched Air, PADI Deep Diver and PADI Drift Diver courses. If your party has time and you plan to dive among Thailand’s fascinating wrecks, then the PADI Wreck Diver course is recommended. The country is also a fantastic location to become a PADI professional by taking the PADI Divemaster course, or the PADI Open Water Scuba Instructor course. If you want to stay on dry land for some team building, then go karting is another option. 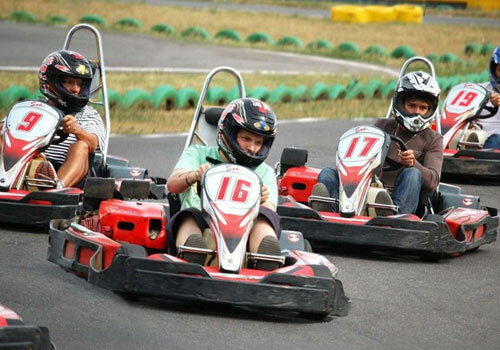 Bangkok has two go karting tracks, the most popular is Easy Kart which is located in the famous RCA district. It is one of the largest indoor tracks in Asia and offers a range of other leisure activities for various ages. The venue can cater for small groups to larger parties, so again here is an activity which can make for an exciting team building exercise. These are only a few of the many activities which are available for corporate team building for those attending MICE events. There are many more which could best be divided into two sections. Water based adventure activities sailing regattas, dragon boating, canoeing/kayaking and deep sea fishing for example. Secondly land based which include horse riding, all-terrain vehicles, and archery in addition to what are mentioned above.